Operation Better Block, Sierra Club, Pittsburgh United, New Voices Pittsburgh, and Pittsburghers for Public Transit are excited to be hosting a District 9 Environmental Justice Candidate Forum! District 9 has a choice to make between many candidates with the primary coming up May 21st, and the general election in November. 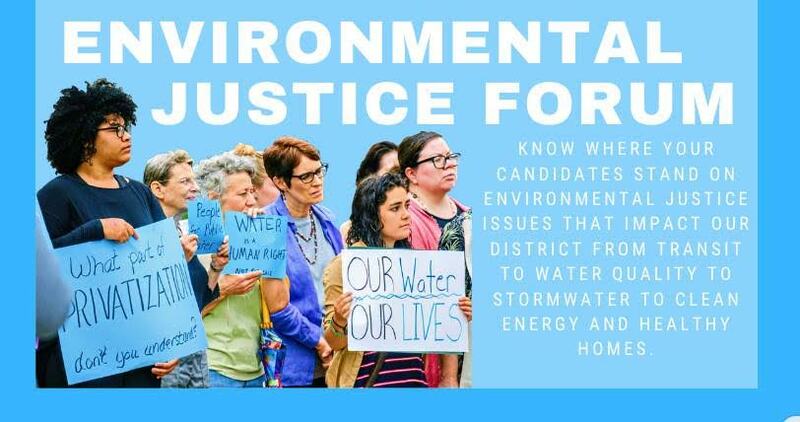 This forum is an opportunity for residents to learn where each of the candidates stands on environmental justice issues that they care about. From environmental racism, healthy food access, green infrastructure, the potential privatization of our water, public transit access, the high costs of utilities with poor housing stock, and stances on access to renewable energy, there are a lot of environmental justice issues that District 9 residents are facing and care about. This forum is be free and open to the public. Currently, all 5 candidates (current City Councilman Ricky Burgess and his four Democratic challengers Stephen Braxton, Cherylie Fuller, Judith K. Ginyard, and Kierran Young, and potential Independent challenger Randall Taylor) are confirmed to attend. Join us on April 29th to learn about the candidates, and have your concerns addressed!